Increases buyer satisfaction by protecting their investment. 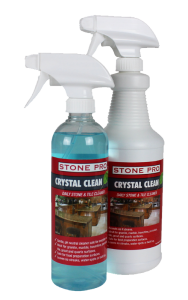 Reduces warranty issues involving stone and grout. Enhances the builder’s reputation by protecting stone and grout which in turn helps with higher buyer satisfaction scores. At Brady Seal, our goal is simple: to provide builders and new homeowners with long-term satisfaction with their stone and grout. We meet this goal by focusing on customer service and by using the highest quality sealers. Our highly trained staff provides outstanding, on-time service that integrates seamlessly with building schedules. We also understand that buyer satisfaction surveys are very important and our service has consistently helped increase scores.We warranty our service, under normal use and care, for one year. Copyright © 2019 Brady Seal Inc.